Visiting my home town, taking a walk through the market place, this is when I took a deep breath and my memories wake up. That smell wraps me like a blanket of past, that day when I broke free and took all the coins I was saving to buy my first guitar. Another one when I have seen a friend and went to eat a big ice cream, it must be the first day of high school. We all have smells to unlock past and travel miles. 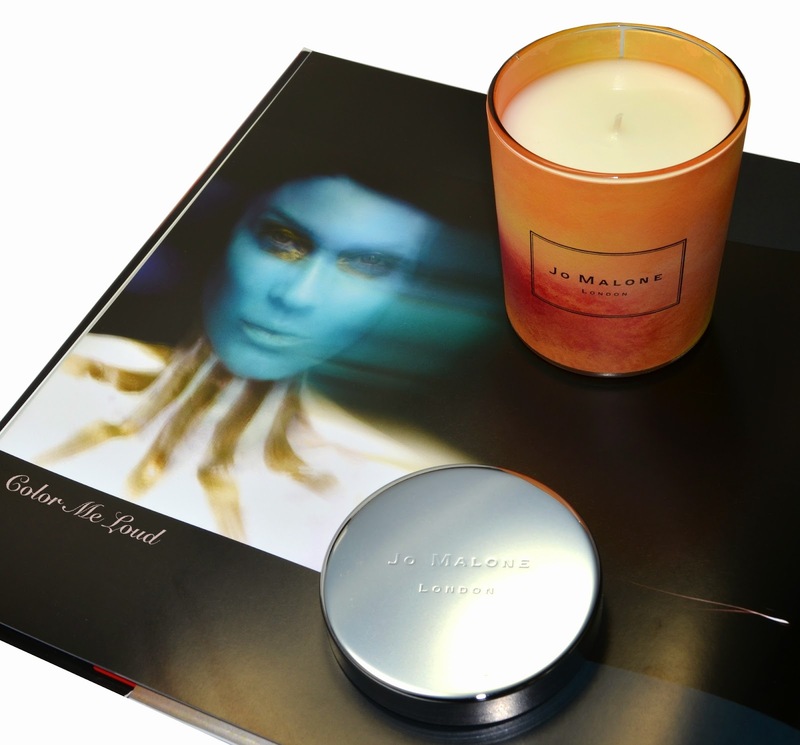 Today it is about Jo Malone's new limited edition collection, My Wanderlust, designed by Style Editor Charlotte Stockdale who would like to share her favorite memories with us, from all around the world. Jo Malone London My Wanderlust Collection is composed of five pieces, three of which is now available at Jo Malone Counters in Germany. There is a Lime Basil & Mandarin Deluxe Diffuser (72€) which reminds her the scent of Lime on a Caribbean breeze as the sun goes down. Acacia & Honey Deluxe Soap (37€) brings the memories of hazy, golden warmth of the Australian beach from holidays of the past. Cardamom & Moroccan Rose Home Candle (55€), which I had enjoyed past holidays, is after Charlotte's memories of foothills of Atlas Mountains while she was shooting on location for British Vogue. I have recently fell into scented candle rabbit hole and have been enjoying various Diptyque candles, my seasonal favorite being Noisetier at the moment. During the past years I grow up to appreciate a well-blended rose scent more and more. Last week when I was thinking about my favorite winter fragrances, I was surprised to see that they all included roses in them, such as Dior Oud Ispahan and Gris Montaigne. As Cardamom & Moroccan Rose burns, it fills the room with a sweet rose scent. Its sweetness is well balanced by the spicy cardamom, giving it an resinous touch. Cardamom is accompanied by a touch of ginger which intensifies the spice note. There is an earthy character with daisies on its floral base. To me, Cardamom & Moroccan Rose is a great winter scent, a candle to burn as I am staring out of the window on a winter scenery. It is warm and spicy but not too intensive. It can be burned hours long and it wouldn't become too much. I have now used around one fourth of it and the surface still looks perfectly even (which is not always the case with Diptyque ones). I make sure to shorten the candlewick after each use to control the power of the flame and to be able to enjoy my candle for a longer time. If you are in search of traveling back in time, nothing comes close to a smell, not even a music piece nor picture. Ever wondered why? Check this video if you are in the mood for something a little more scientific. A little spoiler, it all boils down to how close the memory and smell centers in our brain is. Final thoughts: Jo Malone Cardamom & Moroccan Rose is a lovely addition to the atmosphere at home. Considering its wonderfully warm and cosy character, I recommend it especially for winter. Which scented candles are you enjoying lately? Ahh I so need to check this collection out! No idea when it'll be available here yet, though I hope it's soon! I've been enjoying Diptyque Benjoin and Cire Trudon Ottoman. I so want to pick up Diptyque Vanille as well, but I want to at least use one up before I do that, because for the moment I have like 6 candles sitting around! as much as I am terrible with using up make-up, I am also trying to be a good girl when it comes to candles, so good that you mention that. I am sure you will like this scent, it is very delicate and cosy. Beautiful intro to your review. Lovely review as well. I am somewhat picky about smells, but this one has me somewhat convinced. Also Jo Malone never really dissapoints. 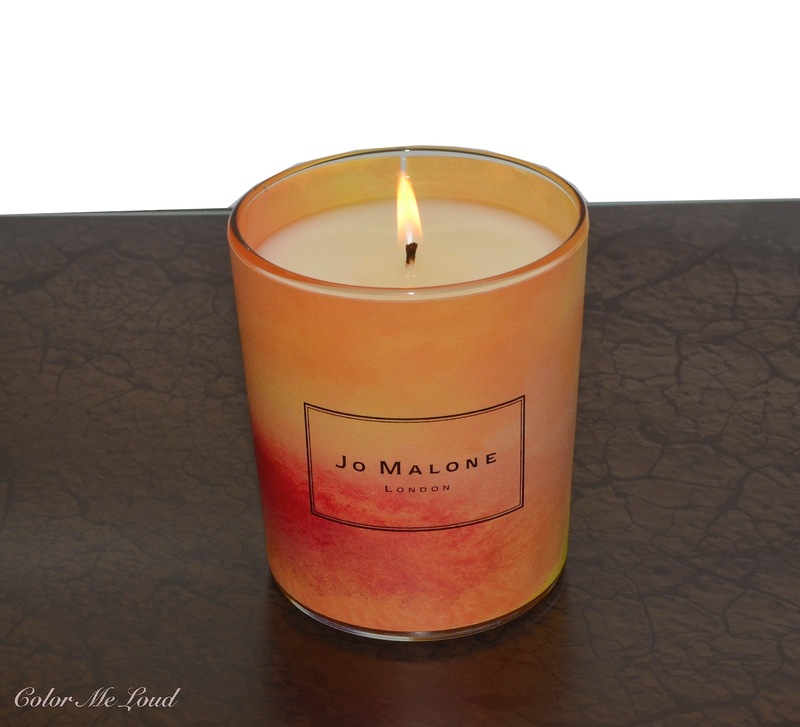 You are so right, everything I have tried recently from Jo Malone was all standout. Wood Sage is almost my obsession at the moment, I need a big bottle of that one lol. Have you tried it? It is a splurge for sure but lasts for a very long time, much longer than the others I have tried. Winner!!! I super like the packaging and the smell seems so interesting. I want these!!!! If ever I were to buy a mainstream produced scented candle it would be this one as the scents are my favorites. And unfortunately, there are a range of problematic ingredients that I would not wish to be inhaling especially without ventilation from an open window, which kind of defeats the purpose. Scented candles are known overall to contain problematic ingredients. But nowhere on line does Jo Malone reveal the ingredients in her candles. It is one thing to read an ingredient list and make an informed decision and another to not be given that opportunity-- so these are a pass for me. this one is surely one of the best high-end scented candles out there. You are right the ingredients are not indicated but it can be because I don't have the box, since mine is a PR sample. Out of curiosity I checked Diptyque, from which I have some boxes. These are also without ingredients. It seems since these are not cosmetics maybe it is allowed to not write the ingredients? Also on perfumes most of the time ingredients are not written, these are perfume and wax combination, but is there something else to make them heat resistance? Yes! there is something about the warm spices and rose combination which makes it especially nice for winter time. I love that you "fell down the candle rabbit hole"! We can talk candles now - one of my favorite things in the world. Cardamom and Moroccan Rose sounds just perfect for fall and winter, I'm definitely going to have to pick one up. I love your pictures, they're beautiful. Thanks so much for the review! I know, I always remember you when I light one since you are a candle lover. You even get candles abroad to make sure to try out everything. I really love this one, perfect quality and such a cosy and lovely scent. Let me know how you like it after trying out. Oh boy, I love scents with cardamom - especially Hermes Voyage! I have to take a sniff on this. But probably won't buy it. I don't know how to explane - but I see expensive candles as a total waste of money. I know, they might be better, have more interesting fragrances etc. But hey, yankee candle tarts do that as well - and I have maaany of them. BUT! 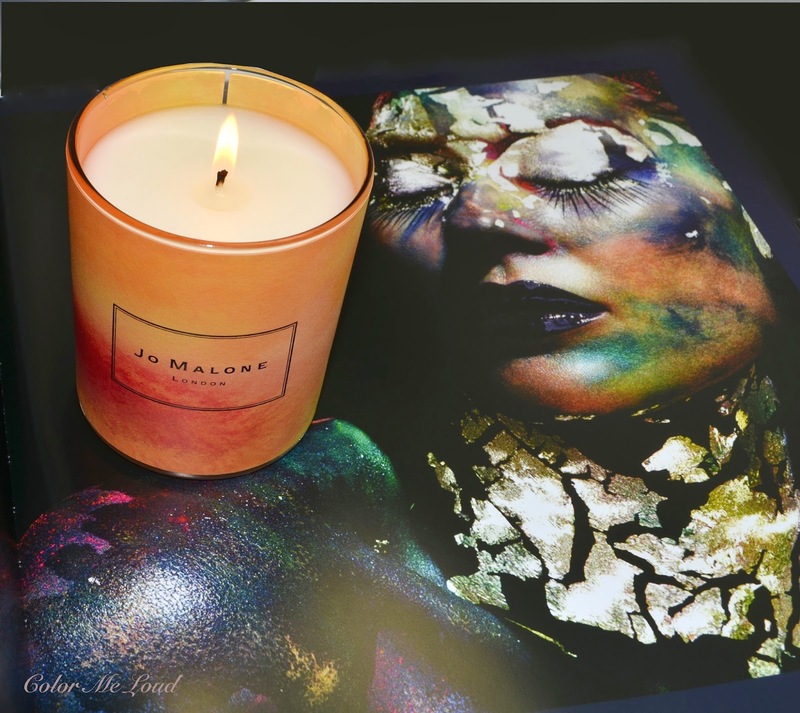 The green tomato leaf candle by Jo smells amazing, I have to smell it every time I'm at Jo Malone! I know what you mean about high-end candles. I was also very reluctant to pay for them. Then during cosmetics reductions in Breuninger I picked up a Diptyque candle a few years ago. It smells so divine, I couldn't stop burning it. Good thing with these is that they last very very long, like months if not a year. So if one can just buy a few and enjoy them, it is not that expensive after all (I am thinking a few eurs per month...) I have to now sniff green tomato leaf candle too lol. I am also all about spicy florals.